Women are on the rise. With movements like #MeToo and Time’s Up gaining ground every day and activists speaking out about the countless injustices women face on a daily basis, it seems like meaningful change could be right around the corner. However, despite being leaders in innovation, the tech industry continues to lag behind when it comes to making gender equality a priority. And unfortunately, it’s a lot worse than you’d think. 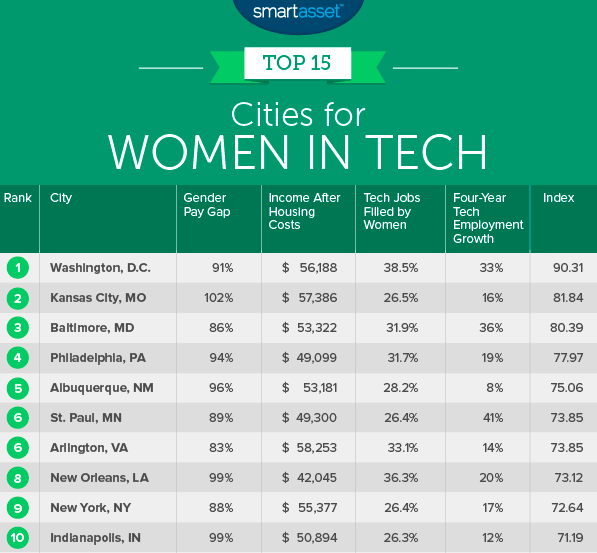 A recent study from SmartAsset sought to rank the best cities for women in tech. By looking at data on “the gender pay gap, income after housing costs, women’s representation in the workforce, and percent growth in employment,” the data showed that there’s an increasing number of cities across the country that are making things better for women in tech. From soaring incomes to evening ratios, the infamously sexist tech industry seems to be improving. However, the data shows that there is still a long way to go, as only a single city in the entire country pays women in tech more than men. Tragically enough, it’s true. Kansas City is the only city in all of the United States of America that pays women in tech more than men. The Missouri city apparently pays women in tech 2 percent more than their male counterparts, according to the study. 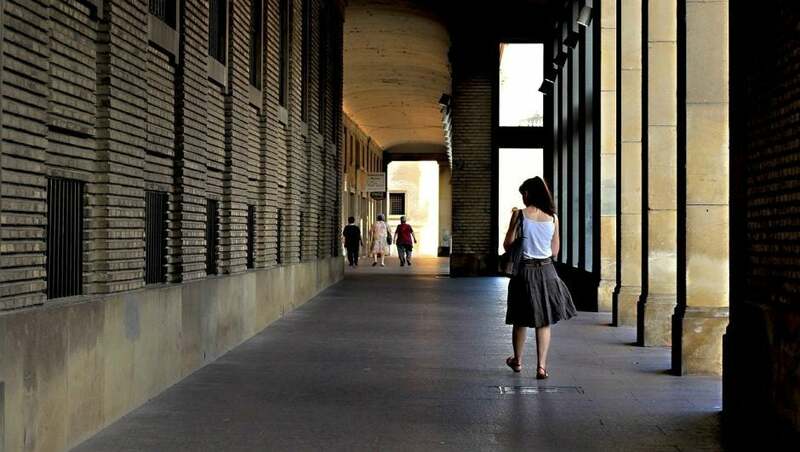 The gender pay gap in the 58 cities on the list range from 99 percent to 71 percent, with Kansas City being the only city outside that range at 102 percent. To make matters worse, Kansas City leaves a lot to be desired in the other factors from the study. While income after housing costs is quite high in Kansas City, the percentage of tech jobs filled by women is barely above the national average (26.5 percent) as is the tech employment growth (16 percent). And unfortunately, this has become par for the course when it comes the experience of women in tech. “Even in 2018, there is a clear gender disparity in the tech world,” said Brittney Borowicz Keller, Vice President of Marketing at Grid Connect in an interview with TechCo. Tech, like a lot of industries, has always been a bit behind on gender equality. Whether it’s noticeably lower wages, embarrassingly poor representation, or rampant sexual harassment, women in tech have had to fight an uphill battle in an industry that prides itself on being “innovative” every chance it gets. And that’s just the tip of the iceberg. According to the SmartAsset data, women in tech make an average of 16 percent less than their male coworkers in the US. While this represents a smaller gap than the national average in other industries, it’s still a wider gap than should be present in an industry as progressive as tech claims to be. When it comes to executive and director positions, the numbers are much worse, with 22 percent and 18 percent pay gaps respectively, according to a study from PayScale. And unfortunately, pay isn’t the only problem when it comes to the gender gap in tech. Pay isn’t the only thing making the gender gap more pronounced. Representation in the tech industry has also been a struggle for women, and it’s absolutely contributing to the problem. A recent study from Harvey Nash/KPMG found that a shockingly low 9 percent of senior roles in tech are held by women. And if meaningful change is going to happen, that’s the first statistic that needs to change. “It won’t be until we get more women in leadership and decision-making roles that people will truly see and understand the importance of woman power behind the tech industry,” said Borowicz Keller. Whether it’s because of systematic sexism or overt sexual harassment, the tech industry has effectively prevented women from securing positions of power in their organizations. And that, in so many words, isn’t helping anyone. Even a few short years ago, a city paying women in tech more than men would be impressive. But it’s not the early 2000s anymore; it’s 2018. The gender gap has been a well-documented, hot button issue for what feels like decades, particularly in tech, and hanging your hat on a single city is far from acceptable at this point. Righting the wrongs of gender inequality in tech is no longer a matter of understanding how to fix it. Countless articles, guides, and social media posts have been penned and posted with hundreds if not thousands of actionable items that could help solve the problem. The key word, however, is action. There is no once-a-year ad campaign, no tone-deaf equality initiative, no supportive tweet that can take the place of promoting, supporting, and building up women in tech. At this point, the burden falls on CEOs, founders, business managers, recruiters, and decisions makers to disrupt the status quo and make an actual effort to fix the gender gap in their companies. And if they won’t, there are plenty of us out there willing to insist they do.